Looks like a wedding is definitely on the (immediate) horizon! 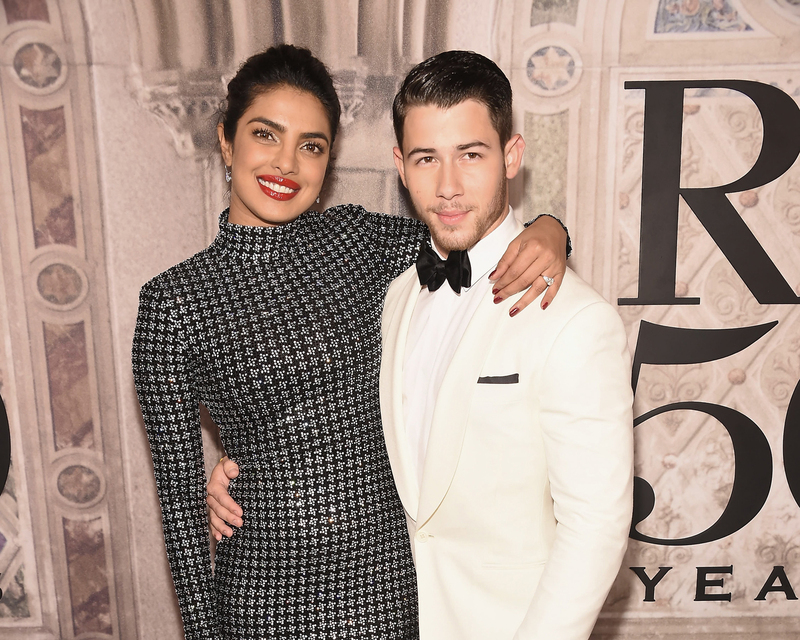 Priyanka Chopra and Nick Jonas reportedly obtained their marriage license recently after stopping by the Beverly Hills courthouse last week to fill out the necessary paperwork. According to The Blast, the superstar couple plans to file the license in both the United States and in Chopra’s native India to make sure that their marriage is official in both countries. No wedding date has yet been confirmed, but sources speculate that the pair are hoping to get hitched before the end of the calendar year. This past weekend, Chopra, 36, celebrated her upcoming wedding with a bachelorette bash in Amsterdam that included her future sister-in-law, Sophie Turner, who is engaged to Nick’s older brother Joe. “The morning after….” Chopra captioned a shot of herself and Turner, 22, with neon green eye masks with the word “Hungover” emblazoned on the front. And late last month, Chopra’s best gal pals threw her an extravagant bridal shower at Tiffany & Co. Blue Box Cafe in NYC, complete with an A-list guest list, fabulous party favors and plenty of dancing. Chopra and Jonas, 26, got engaged in July after two months of dating, and have already performed several ceremonial rites in their movement toward married life, including a pre-engagement Roka ceremony that they celebrated in Mumbai with both their families. Be the first to comment on "Priyanka Chopra and Nick Jonas Reportedly Obtain Their Marriage License"